Multiple color choices. This is a simple looking theme, based on Midnight Ocean (also by me), with rounded corners, using shades of blue and cream. Demo can be seen here. 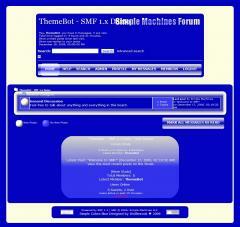 Please note that this theme is for SMF 1.1RC2 only.